The National Blood Authority (NBA) has funded and managed the development of a series of evidence-based Patient Blood Management (PBM) Guidelines, comprising six modules. The PBM Guidelines reflect a systematic review of the scientific literature and clinical expert consensus. Further details on the development process are outlined on the development process page. The NBA has commenced a review of the PBM Guidelines. The review is being undertaken across the suite of modules. The original modules remain available to guide practice. For more information please refer to the Patient Blood Management Guidelines Progress Update webpage. Module 1 Critical Bleeding/Massive Transfusion is intended to assist and guide health-care professionals in making clinical decisions when managing patients with critical bleeding who require or are likely to require massive transfusion. Module 2 Perioperative is intended to inform health-care practitioners, health educators, health service managers and policy makers about the pre, intra and postoperative care of patients undergoing surgery or invasive procedures, particularly those in which blood loss is anticipated. Module 3 Medical is intended to assist and guide clinical decisions and coordination of health-care across the primary, secondary and tertiary care setting for patients with acute or chronic medical conditions requiring haematological intervention. Module 4 Critical Care is intended to assist and guide health-care professionals in making clinical decisions when managing patients requiring critical care. Module 5 Obstetrics and Maternity is intended to assist and guide health-care professionals in making clinical decisions when managing pregnant and postpartum women. 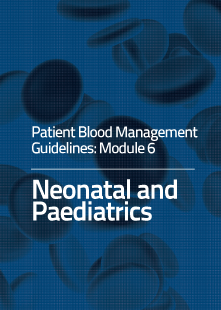 Module 6 Neonatal and Paediatrics is intended to assist and guide health-care professionals in making clinical decisions about blood management in neonatal and paediatric patients. The PBM Guidelines app was decommissioned in November 2015 upon the release of iOS9 due to incompatibility. The PBM Guidelines can be downloaded to devices and accessed in PDF using a number of offline reading apps e.g. iBook, CloudReaders, Play Books etc. If you would like to order printed modules and QRGs, free of charge within Australia and New Zealand only, please complete complete the Publications Order Form. To keep up to date with the review and update of the PBM Guidelines, you can register for progress updates through BloodPortal where updates are automatically sent to your nominated email address as they are released. BloodPortal also enables users to have one place where they can update their contact details with the NBA and subscribe to mailing lists relating to PBM and transfusion in Australia. 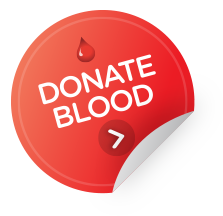 The latest update is available on this site at Patient Blood Management Guidelines Progress Updates.